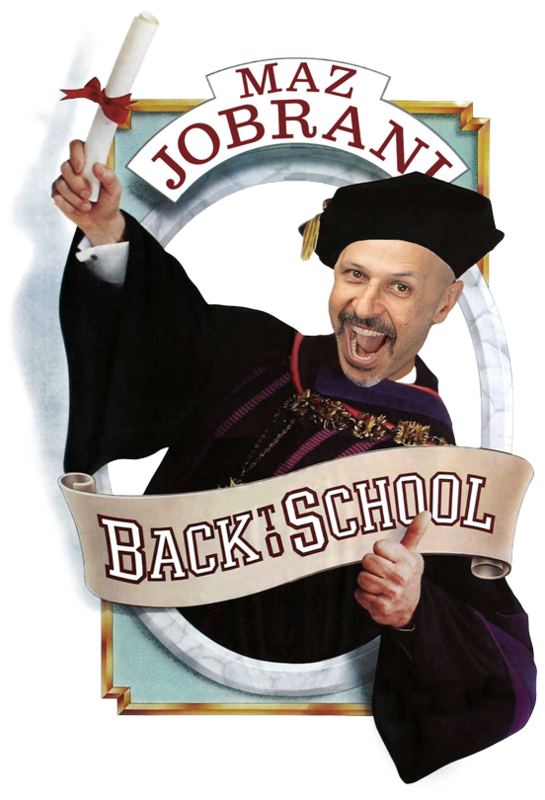 “Back to School with Maz Jobrani,” is the podcast where professors, experts and successful people from all walks of life come in to educate Maz on a variety of subjects while Maz and his team make the lessons funny. The show was inspired by Maz’s 10 year-old son who asked Maz a question that he didn’t have an answer for. Rather than turning to Google to answer his son again, Maz decided it was time to bring in the experts to help expand his knowledge once and for all.